The is the first sight you should visit as soon as you arrive in Brussels. It is a starting point for all tourists with its ornately designed structure, which is a perfect representation of Brussels history. It is a beautiful square listed as a world heritage site by UNESCO. Some parts of the structure are still used and it offers as the city centre where many events also take place. 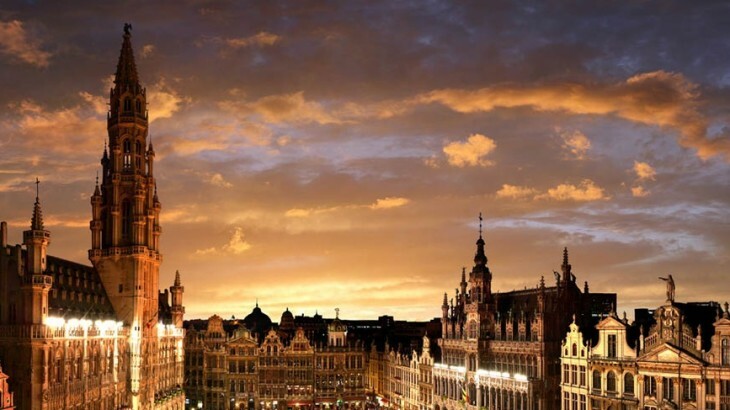 It was built as a marketplace in the 13th century, and now it shows off Brussels hospitality with its various cafes. The royal palace is a grand building, which stands proudly and serves as the official palace of the king. The flag flying at the top of the building signifies that the king is in the country. The palace is open to the public in the summer months specifically between July and September. Visitors are allowed to see the throne room, the Goya room, and the mirror room, which are all lavish structures designed and decorated, by famous artists. The mirror room is decorated with 1.4 million Thai jewel beetles! A representative of Belgian humor, the Manneken Pis is an attraction for all visitors. 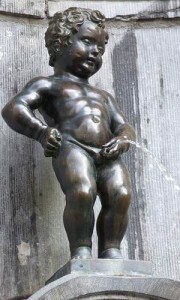 It is a statue of a boy which is peeing in the fountain and has been amusing visitors since 1969 from where it is located in the rue de L’Etuve and Stroofstraat. The statue has over 760 national outfits donated to it by visiting heads as a tradition and its entire wardrobe collection can also be seem at the museum. The statue even has an original Elvis jumpsuit to its wardrobe. If you are interested in seeing the remains of King Charles the Fifth’s palace, an underground trail helps you unravel the history and mystery of the Coudenberg palace. You can visit the Coudenberg museum and discover the magnificent history of the last 25 years kept alive within it. It is something of a symbol of Brussels, like the Eiffel tower of Paris. It was built for the world fair in 1958 and represents the nine molecules of an atom-enlarged! These are connected by escalators and offer a spectacular view of Brussels and its surroundings. If you are up for adventure, visit in the summers when tourists can take part in death ride, which is a more than 100-meter fall from the top most sphere! A great family fun activity, the mini Europe is a theme park located right next to the Atomium. It has mini structures and monuments of the famous sceneries and sites of Europe and serves as a fun day out. You will find the most famous structures such as the Eiffel Tower, Leaning Tower of Pisa, the Grand Place and the Mount Vesuvius, which are smaller yet accurate replicas of the real structures. If you are looking to have some food in the open and beautiful surroundings of the city, the Rue de Bouchers offers a walking affair to explore many cafes and restaurants along its lavish pavements. You will find something to suit your taste buds while being pocket friendly at the same time.